Calling all investors or first time home buyers - opportunity knocks! Offers accepted anytime! 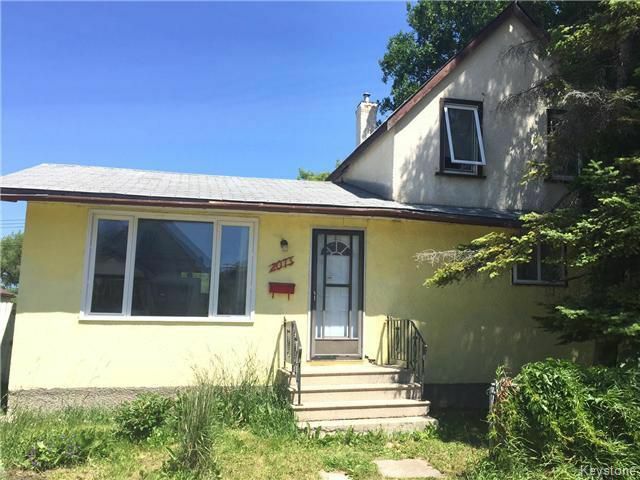 This two bedroom / two bathroom home is loaded with upgrades that were completed by the current owner which include; a 200 amp electrical service, a newer LENNOX HE furnace, new YORK Central A/C, newer shingles(2009), newer windows, and the bathroom and kitchen have both undergone a major facelift. Neutral and stylish paint colours can be found throughout the home. On the second floor of this home you will find a massive master bedroom/loft - this space could be converted into two separate bedrooms, but is currently being used as one. The home is located on a huge, fully fenced, double sized lot complete with a large double detached garage. Enjoy the privacy of backing onto the green space of the McPhillips Athletic Grounds while still being close to parks, schools,transit and shopping. Don’t wait, call today for your appointment. All measurements are +/- jogs.